By turns loved and reviled upon its U.S. publication, Sheila Heti's "breakthrough novel" (Chris Kraus, Los Angeles Review of Books) is an unabashedly honest and hilarious tour through the unknowable pieces of one woman's heart and mind. Part literary novel, part self-help manual, and part vivid exploration of the artistic and sexual impulse, How Should a Person Be? earned Heti comparisons to Henry Miller, Joan Didion, Mary McCarthy, and Flaubert, while shocking and exciting readers with its raw, urgent depiction of female friendship and of the shape of our lives now. Irreverent, brilliant, and completely original, Heti challenges, questions, frustrates, and entertains in equal measure. With urgency and candor she asks: What is the most noble way to love? What kind of person should you be? 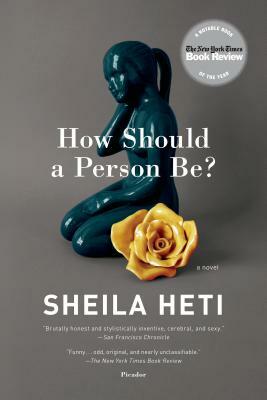 Sheila Heti is the author of eight books of fiction and nonfiction, including How Should a Person Be?, which New York Magazine deemed one of the “New Classics of the 21st century." She was named one of "The New Vanguard" by The New York Times book critics, who, along with a dozen other magazines and newspapers, chose Motherhood as a top book of 2018. Her books have been translated into twenty-one languages.